The AWP 2014 Conference in Seattle was full of meetings with wonderful writers and friends, great hijinks, and even better literary readings. During the conference, the Cambridge Writers’ Workshop Bookfair Table was featured in the Northwest Institute of Literary Arts’ Scavenger Hunt! At the CWW, we met some amazing new writers, and got a chance to tell people about our Call for Submissions for CREDO: An Anthology of Manifestos & Sourcebook for Creative Writing, our 2014 Summer Yoga & Writing Retreat at the Château de Verderonne, and our upcoming workshops & literary internships! A very special thanks to Elizabeth Devlin, Jessica Reidy, Pattabi Seshadri, Jessica Day, Alice Marshall, Rita Banerjee, and Diana Norma Szkolyai for helping man the CWW table!! 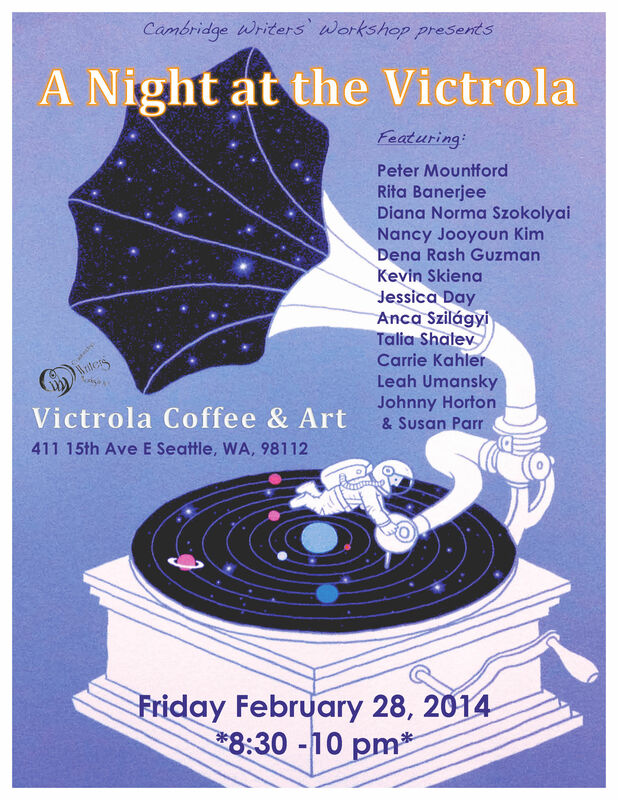 On Friday February 28, Diana Norma Szokolyai and Rita Banerjee had featured author signings at the AWP 2014 Bookfair, and later that evening, the Cambridge Writers’ Workshop celebrated “A Night at the Victrola!” at the original Victrola Coffee & Art café in Seattle! 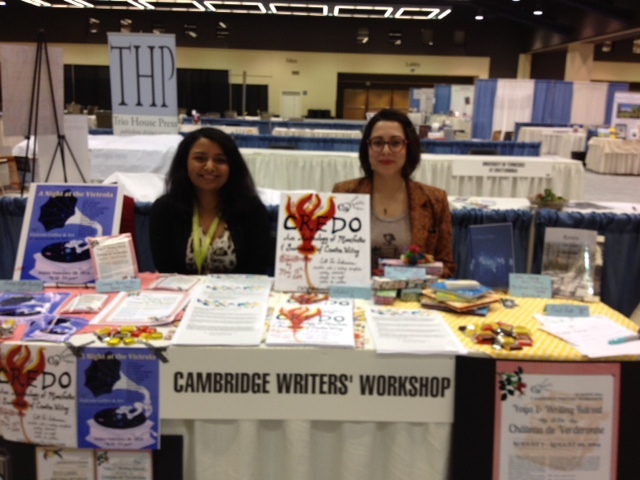 Thanks also to all the wonderful literary organizations and blogs which reviewed the Cambridge Writers’ Workshop at AWP 2014 and featured our readings, authors, and events! 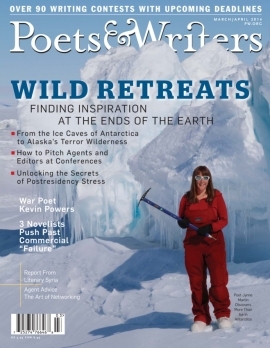 Thanks especially to Yoga Trail, BREVITY’s Nonfiction Blog, The Furnace, Poets & Writers Magazine, Newpages.com, Harvard Magazine, Duotrope, Dena Rash Guzman, Leah Umansky, Rita Banerjee, Diana Norma Szkolyai, Anca Szilágyi, Jessica Reidy, Raquel Henry, The Writers’ Loft at MTSU, my rite of passage, Sarah Kuntz Jones, Amy King, and Allison Joseph for featuring our events and supporting the Cambridge Writers’ Workshop! You guys rock! This entry was tagged A Night at the Victrola, AWP, Château de Verderonne, CREDO, fiction, nonfiction, poetry, reading, Seattle. Bookmark the permalink.